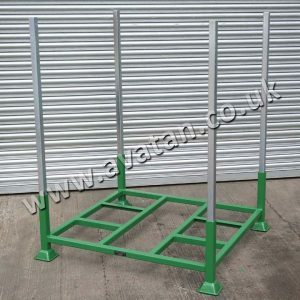 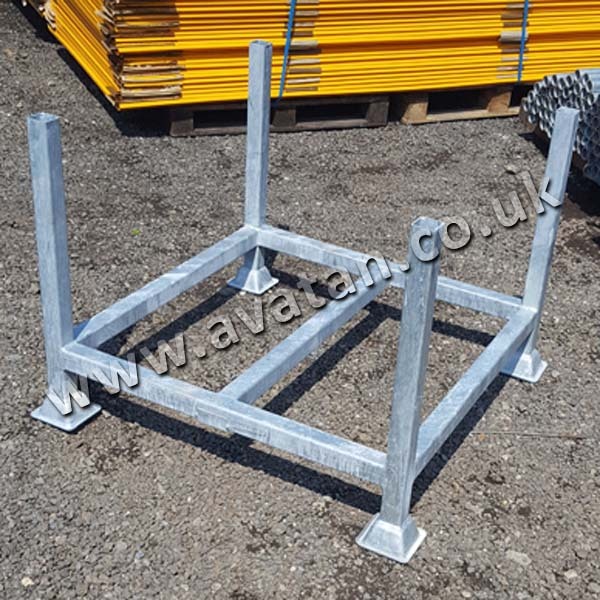 Heavy duty frame post pallet manufactured throughout from mild steel box section with sheeted base and back. 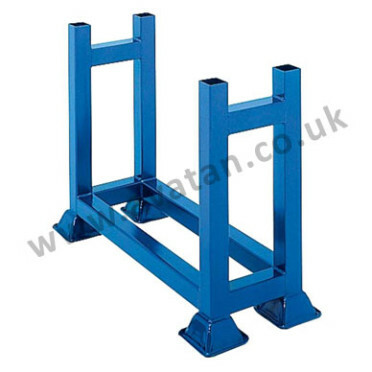 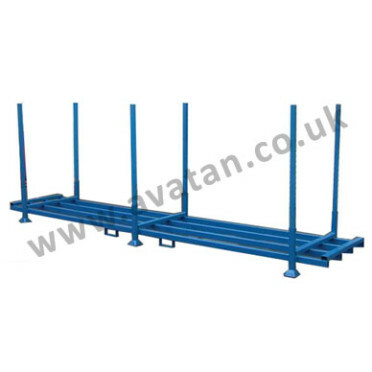 With well braced sides and stacking pallet feet, this stackable unit has been designed to retain and store boxed products. 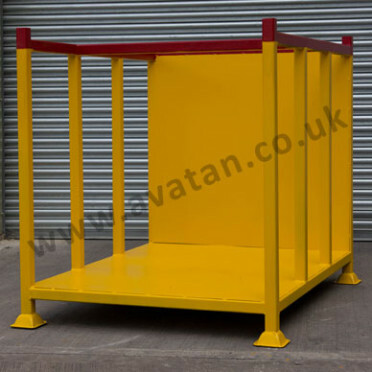 Item illustrated is 1520mm x 1160mm x 1325mm high but can be manufactured to suit individual customers needs.